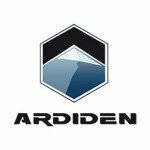 The drill bit is officially spinning at Ardiden Ltd’s (ASX: ADV) Seymour Lake Lithium Project in Canada, and it’s already drilled a successful first hole. Ultimately some 1,500m of diamond drilling will be completed, and the first hole has already intersected spodumene bearing lithium structures at a shallow depth of less than 50m. The goal of this drill campaign is to prove up a maiden JORC lithium resource by Q2 2017, setting a clear pathway of newsflow for this stock. 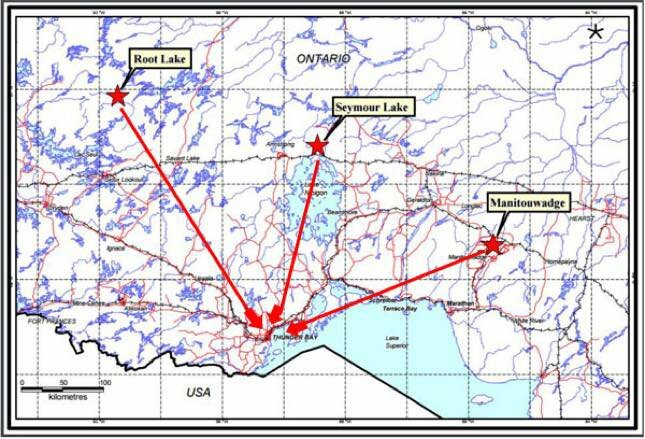 Beyond the lithium drilling underway right now, the company will also be undertaking 1,500m of graphite drilling at its Manitouwadge Graphite Project in the coming weeks – once again Q2 2017 is the target date set for defining a JORC graphite resource there. It should be noted, this is minerals exploration – so there is no guarantee of success here – this is a small company with a number of hurdles to pass before it starts shifting product, so seek professional financial advice if considering making an investment. With two drilling campaigns over the coming weeks hitting both lithium and graphite, there is a chance for strong uplift on material discoveries. The $22M capped ADV is emerging as a North American focused strategic metals company before our very eyes, and as it goes about its drilling, the next few weeks and months will be crucial. We’ve followed a host of lithium and graphite juniors all looking to be a part of the lithium-ion battery boom, as prices have started surging and caused an intense interest in the metal. ADV in particular is chasing down both lithium and graphite in tandem in North America, commodities which are both important in the production of lithium ion batteries. 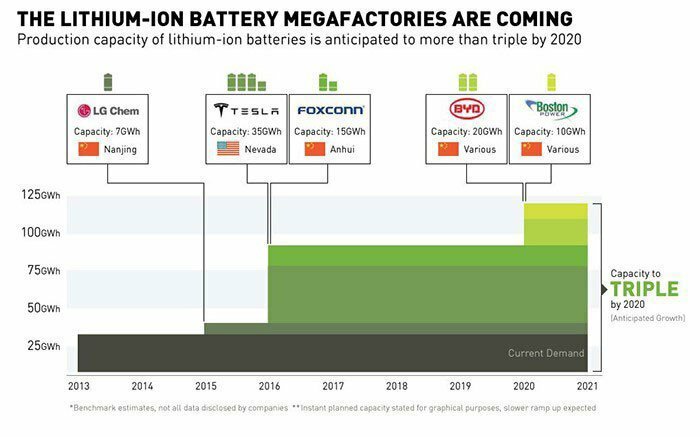 The battery-powered age of lithium and graphite is well and truly here. These lithium ion batteries are vital for key electronics players in the market including Apple and Samsung whose smartphones, and pretty well any rechargeable device, are now used in everyday modern life. American automaker and energy storage company Tesla , located just across the border from ADV’s projects, is creating electric, and driverless, cars and in doing so is captivating the whole world. CNBC declared their latest ‘Model 3’ car the ‘most reliable’ yet. It looks futuristic, but in fact it is the present. In 10-20 years, you won’t need to imagine it, ‘the first electric plane’ may well sound as primitive as ‘the first cellphone with internet’. Which, by the way, we first saw only last decade, in the mid-2000s. The commencement of drilling is big news for any exploration play, and marks a key milestone for ADV. The company is drilling for lithium right now at Seymour Lake, located near the town of Armstrong in Ontario, and its project covers an area of 7,019 hectares. It’s an area with a proven track record of extensive mineralisation, particularly of spodumene-bearing pegmatites. However, this is still an early stage play and caution is advised if considering an investment in this stock. Photo of the Diamond Drill Rig drilling at the North Aubry prospect on the Seymour Lake Lithium Project. Example of high quality white spodumene crystals discovered during the excavations of pegmatite exposures south of North Aubry prospect. 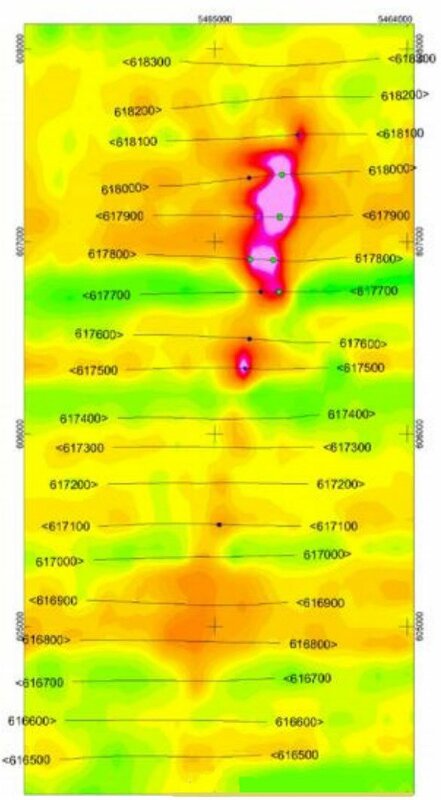 The drilling will target the first 1km section of a large 5km-long pegmatite cluster, which the company identified during an earlier mapping and sampling phase. Overview of the Seymour Lake project showing the known and newly identified pegmatite exposures and the interpreted mineralised zones and structures. Also highlighted are some of the channel sample locations and the areas currently being excavated. Seymour Lake Project overview showing new pegmatite exposures, faults and dykes and the newly staked claim areas. The same exploration campaign also identified, as you can see, that the pegmatites are all located at or near the surface, making it cheaper if and when the company moves into production. The Seymour Lake area boasts plenty of strong historical diamond drilling results for lithium, with significant grades of lithium oxide in excess of the 5% Li 2 O present in the cores – 30% of the results showed an average grade of more than 2% Li 2 O. 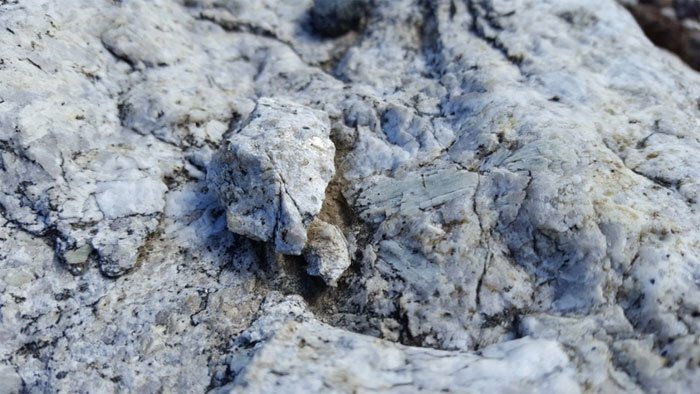 And it’s not just lithium – previous exploration has identified the potential for tantalite and beryllium as by-products, both of which are currently valued at around US$500 a kilo. The Seymour Lake site is located within the Caribou Lake Greenstone Belt, 230km north-northeast of Thunder Bay, Ontario, Canada. The claim group is located on an all-weather, year-round, two-lane, main haulage road and the project has excellent proximity (5km) to existing rail sidings on the main CN rail line, and close proximity to a major power grid provided by Ontario Power Generation, which is planning an 85MW hydro-electric project just 8km from the project. The project is ideally located approximately three hours by road from Thunder Bay, a leading mining jurisdiction in Ontario with key local infrastructure including a skilled mining workforce and excellent local logistics infrastructure. It has strong potential to provide high quality product to service growing North American demand and export markets. The city of Thunder Bay is a mining, rail, port and infrastructure hub which is less than 100km from the US border and has existing port facilities which can also access the Atlantic and service European markets. Thunder Bay is also the main support hub for ADV’s Root Lake and Root Bay Lithium projects and Manitouwadge Flake Graphite Project, providing excellent synergies for ADV. The ~1,500m of diamond drilling scheduled for the Manitouwadge Project’s top priority target, the Silver Star North prospect, will kick off in late November, which is really only just a few weeks away now. This could pave the way for ADV’s maiden graphite JORC Mineral Resource being defined in Q2 2017. 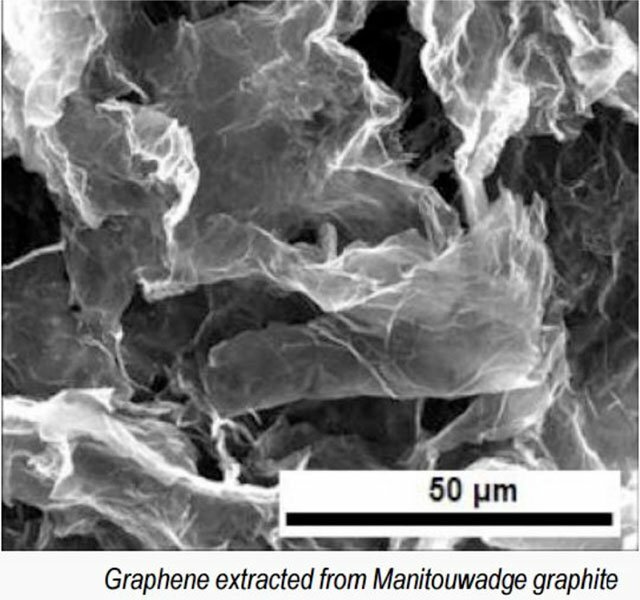 As regular readers know, graphite is an excellent thing to get your hands on as part of a minerals play – not only is it a broadly-used form of carbon, it can also be turned into graphene. Some in the industry believe graphene could fill infiltrate private and industrial life like steel did in the 19 th century, and like plastic has done in the 20 th century. That’s a big call, but we tend to agree with the prediction that graphene could be huge . Small amounts of it can make a material exponentially stronger and increase its conductivity which makes for a lighter, tougher and more energy-efficient final product. So what’s the likelihood of ADV landing a large graphite discovery? 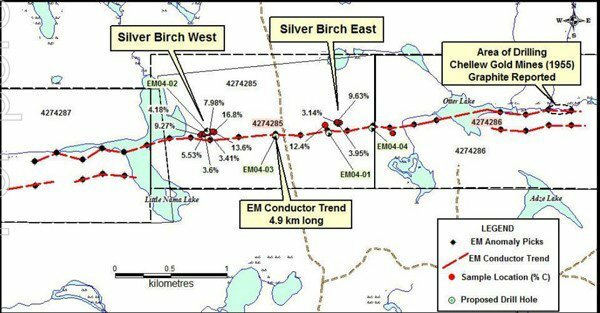 To date, exploration has confirmed high quality graphite coincident with strong EM anomalies along a 10km patch of the potential nearly 20km strike length discovered in EM surveys. Previous drilling suggests up to 80% of the graphite at the site is the good stuff – premium-priced jumbo or large flakes of up to 4,200 microns. So once the lithium drilling is complete at Seymour Lake, all attention will focus to ADV’s graphite drilling at Manitouwadge, with a specific focus on the Silver Star prospect. ADV’s other projects in Root Lake and Root Bay, in the same province of Ontario in Canada, are also prospective zones for lithium. Historic drilling at Root Lake has identified outcropping spodumene-bearing pegmatite structures with grades up to 5.10%. Have a look at the image below. 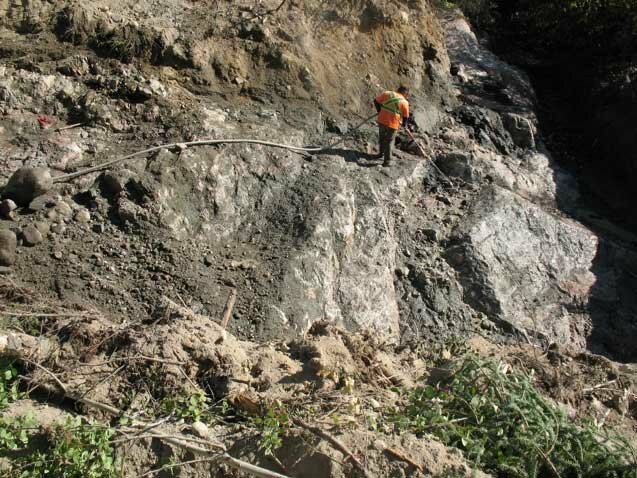 Root Bay, where initial observations of the exposed pegmatite show spodumene crystals up to 10cm long, have all returned good results from channel samples – including outstanding grades of up to 2.54% Li 2 O from the maiden program. So what to make of ADV? 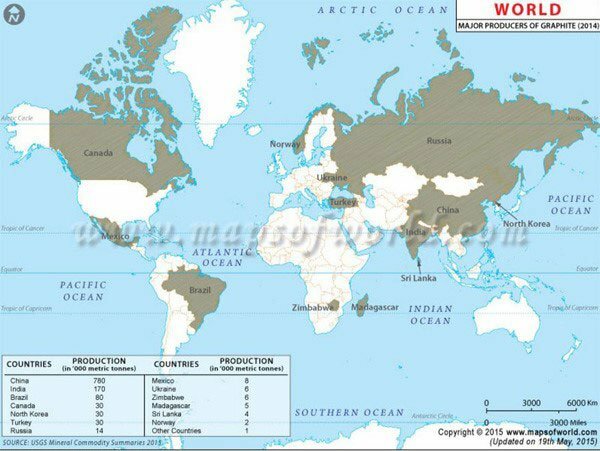 OK, let’s take stock of this stock for a moment and look at where it finds itself on the minerals world stage. Green technology is driving up global demand for lithium and graphite both used in electric car batteries, tablets, smartphones and personal and commercial storage of power (which includes the solar market). Yet, perhaps the biggest factor of all is ADV’s proximity to the US. Tesla have declared their aim to source as much materials as possible for their electric car batteries from North America, which will reduce costs and the carbon footprint of transport and shipping. ADV could also be in a position to supply to Asian and European markets through Thunder Bay which has access to the Atlantic. But we are guessing that hitting up the US market, just 100km away across the border, will be where the opportunity is at for this junior company. As with any speculative stock, ADV’s mining success is not a sure thing, and we encourage you to do your own research and seek professional financial advice. This plays into ADV’s hands, as the company is trying to prove up a commercial quantity in the US friendly jurisdiction of Canada. ADV’s drilling programs, which have just begun, will provide some near-term catalysts for share price growth and an influx of news, keeping the buzz alive for ADV and – hopefully – keeping shareholders happy.